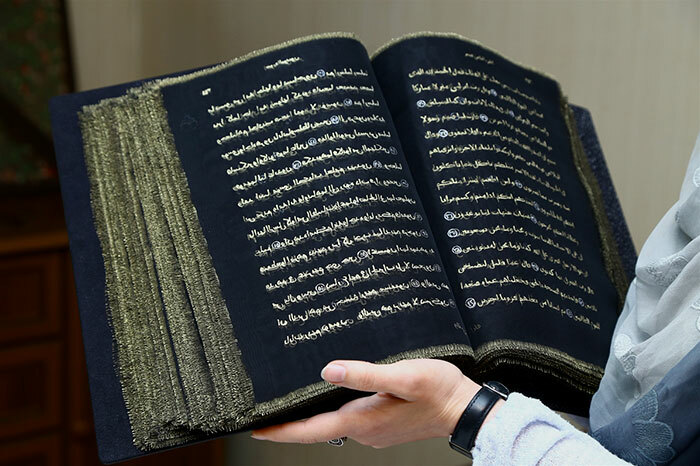 There are a lot of mesmerizing Muslim temples, but this time it’s a lavish Quran that grabbed everybody’s attention. Azerbaijani painter Tünzale Memmedzade spent 3 years meticulously rewriting the sacred book by hand and the result is captivating even if you’re an atheist. 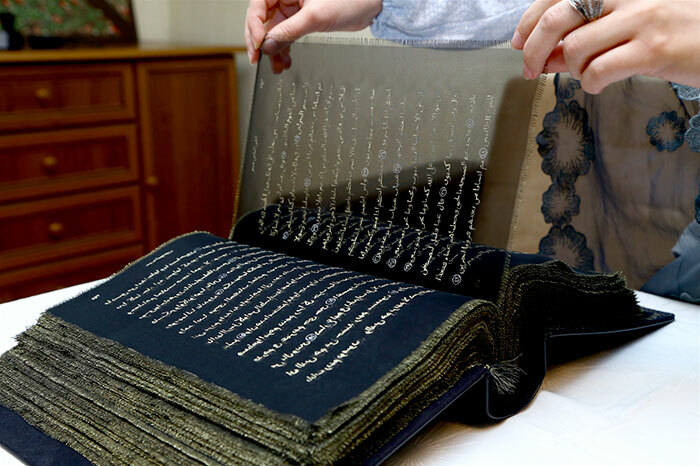 Memmedzade started her project after investigating that, even though the Quran had been transcribed onto various materials, it has never been inked on silk. 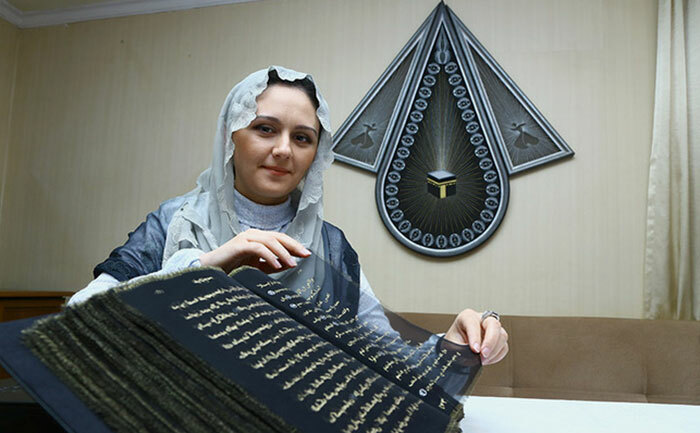 She took the official version released from the Diyanet, the Turkish Presidency of Religious Affairs, as her source and used a little more than three pints of liquid gold and silver as well as 164 feet of 11.4″ x 13″ sheets of fine silk. 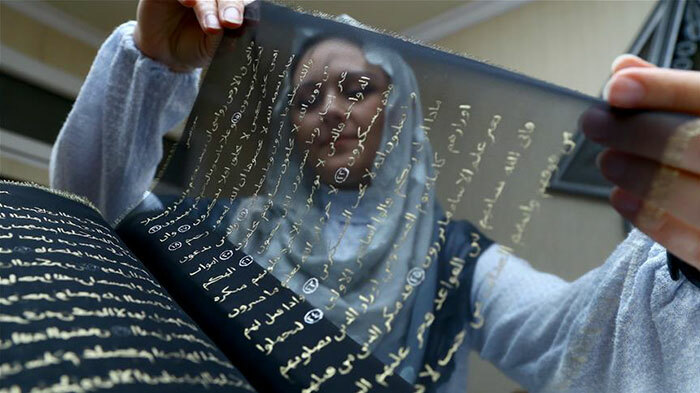 The artist considers this project to be her masterpiece, that also doesn’t violate any religious law because there are silk references in the Quran itself.